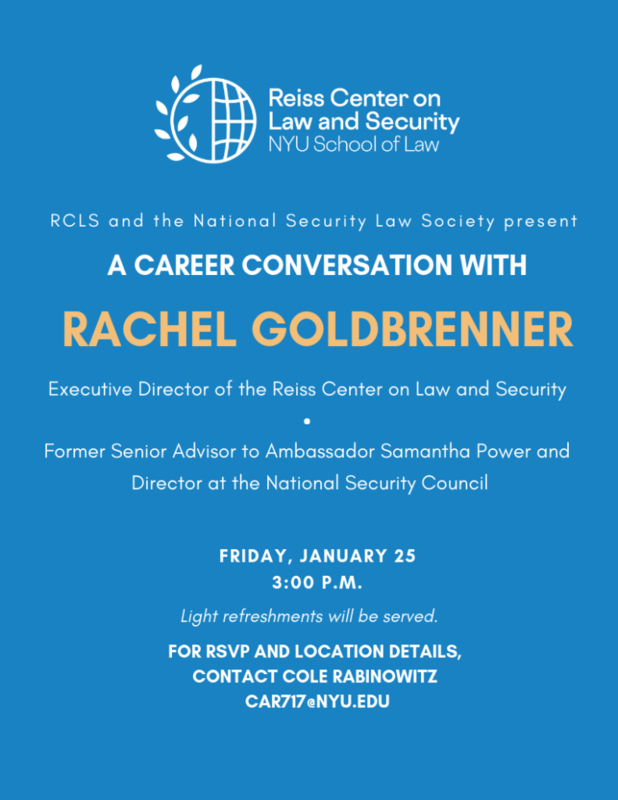 On Friday, January 23, the Reiss Center on Law and Security and the National Security Law Society hosted Rachel Goldbrenner, Executive Director of the Reiss Center on Law and Security for the inaugural session of a series with national security law and policy practitioners. Prior to heading the Reiss Center, Goldbrenner served in a number of national security roles in the White House and State Department, including as a senior advisor to U.S. Ambassador to the UN Samantha Power and as a director for multilateral affairs and human rights at the National Security Council. 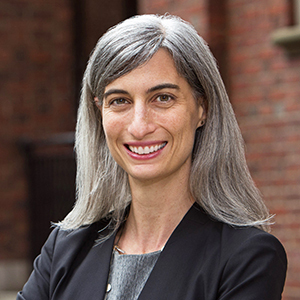 She has also practiced as an international litigator and served at several thinktanks and advocacy organizations. In her roundtable discussion with current NYU law students, Goldbrenner discussed her career path both leading into and following law school. She discussed the challenges and rewards of government service and gave her advice for students interested in pursuing a career in national security. Turning to her current role, she also provided an overview of the Reiss Center’s renewed agenda, plans for the future, and opportunities and resources for students interested in national security at NYU Law. You can read more about Goldbrenner’s bio on our website.